Since you’re in the market for a new home, you’re probably in the market for a new mortgage. Here are 3 critical shopping tips for anyone looking for a new loan. All the terms of a loan matter. Unfortunately, shopping for a mortgage is not as simple as finding out how much a lender will let you borrow and at what interest rate. You’ll want to get a complete breakdown of what any offer your receive means to you on a monthly basis as well as how much money you’ll be spending over the life of the loan. 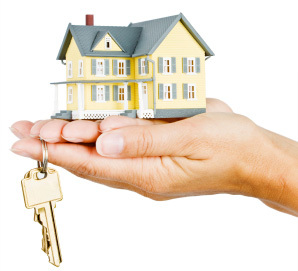 There are several mortgage types available to residential home buyers. Most people will shop for a traditional fixed rate mortgage, but other options are available including adjustable rate loans (ARMs), Federal Housing Administration loans (FHAs), and Veteran’s Administration loans. You’ll want to be sure to understand what kind of loan a lender is offering you. Most loans have fees associated with them in additional to the principal amount bowered to buy the home. You can sometimes borrow the money need to cover these fees, but that will obviously increase the overall amount of debt you undertake. Some fees are paid up front, and others are not due until closing. If you’d like to chat with personally about how to shop for a mortgage and what other questions you can ask lenders to find the best deal, give me a call at any time. I’m happy to get you started on the right path so we can start looking for your new home! When you are buying a home the first thing you need to do is get pre-approved. This is different from pre-qualifying as it is a full loan approval instead of simply an opinion letter of your creditworthiness. Its is best that you take this step before looking at homes as finding out what you qualify for will help you look in the right price range and avoid disappointment. On the flip side, you might be able to look at more expensive homes than you originally thought possible. 1) All funds used for the downpayment and closing costs need to be carefully scrutinized by your lender. You must provide detailed and accurate information to show which accounts the funds are in and where the funds are coming from. You must document the source of any funds that have been in your accounts for less than 2 months. Any changes that occur to your financial condition will need to be explained to the lender. Changes to your assets, employment, income or credit scores during the escrow process could jeopardize your ability to obtain a loan. Provide complete documents – all pages! Provide documents with names, addresses and account numbers. Do not transfer funds from one bank account to another. Do not make unusual large deposits into your bank account or you will need to provide documentation for the source of any deposits. Do not buy a car just prior to buying a house of during the escrow process. Do not spend large sums of money buying furniture or appliances. Do not apply for new credit cards. Do not close existing credit cards. Recent inquiries on your credit report. Derogatory items on your credit report. Recent deposits into your bank account. Recent transfers of money from one account to another. Evidence earnest money deposit has cleared your account. A gift letter signed by you and the gift donor. Evidence of the donors ability to gift the funds – a bank statement. Evidence of the receipt of the gift funds – a copy of the check or wire. Evidence of the funds being received into your account. If you have questions or are looking for a wonderful lender, give me a call today at (408) 410-2060!